I drew this Sunflower in April 2017 using my Staedtler colouring pencils on a white, A4 250gsm card. I achieved this whilst I was going through a three month, non-stop Fibromyalgia flare. I hadn’t drawn or painted in a long time before that, but decided to draw my favourite flower to cheer myself up and stay positive despite the emotional and physical torture I was experiencing. As I type this blog right now it’s currently July 2018 and i’m going through a really bad flare up once again, and to be quite honest at this point I think it’s safe to say my whole life is just ONE BIG FLARE UP, haha. For the past few months I haven’t been great, my Doctor prescribed me new medication in May for the first time as a repeat prescription. The first month of taking this medication all through May I was absolutely awful, I was so lethargic completely drained which actually felt much worse than my chronic fatigue. My faints came back which used to happen a lot when I was younger and I ended up collapsing and being taken to hospital, I constantly feel nauseous and extreme muscle and joint pain from Fibromyalgia and CRPS. I get the odd day when I feel optimistic but in reality I don’t do much. Right now I would like to start drawing again but the nerves in my hands and arms are damaged from having tests and IV fluid in both arms, so drawing and painting right now is difficult and painful because I can’t grip things with comfort. As we’re currently in the summertime season of 2018 I recalled this photo that I drew from last year and it inspired me to write a little about what lessons we can all learn from the Sunflower but I wrote it in a Spoonie relatable way. I know a lot of Spoonie’s that are also currently going through terrible amounts of continuous pain at the moment and wanted to write something to encourage everyone including myself to keep hanging in there. Sunflower seeds are popular and very versatile. You might have some Sunflower oil in your kitchen, but did you know that Sunflower oil is actually just as versatile as the sunflower itself? Sunflower oil is produced and extracted by pressing the seeds of the sunflower and this oil has many uses, it can be used for cooking, manufacturing of products, machinery lubricants and more. Also, experiments have found that sunflower oil may be a possible fuel alternative! Like the Sunflower the strengths you possess are incomparable. Of Course you can’t turn yourself into oil and be used for cooking….but think about all the amazing qualities you have, all the achievements you’ve made and the things you’ve accomplished. There’s a lot of Spoonie’s who are extremely amazing parents, carers, persevering in the workplace, in education, artists, chefs, health practitioners and a lot more. Your physical and mental health might limit you and what you can do but it can never take away all of those hard earned achievements that you have under your belt. You have undeniable strength to be able to wake up every single day feeling like complete rubbish but smiling and battling through the day regardless. Did you know, Sunflowers are the only flower with the word ‘flower’ in its name! You are unique just like the Sunflower, you all have your own individual and unique identities. You are way more than you think of yourself on your worst day. Pretty sure you all have that ‘thing’ that everyone knows you for, whether it’s those amazing cookies you bake, your astounding ability to push through trials with courage, the kindness you emit all around to whomever you meet. You see, every single one of you have something unique about you that is to be celebrated, never forget that. One of the most fascinating things about the sunflower is that it just keeps on growing. Giant sunflowers can grow to reach extraordinary heights. With good amounts of care and moisture, along with full sun exposure, sunflowers typically grow to be an average height of 10 to 20 feet. In fact, according to GuinnessWorldRecords.com, the tallest sunflower in the world was measured at a whopping 30 feet and 1 inch, grown all the way in Germany, on August 28, 2014. You see how the Sunflower just doesn’t give up and keeps on growing? That’s exactly you my fellow Spoonie. Never give up on you! Despite your on going pain in the…well, pain the everywhere, you can achieve the unimaginable if you want. It might take you three times as long to accomplish but that’s growth no matter what pace you took to get there. Think about it like this, so far you’ve gotten through 100% of your worst days, at this point you’re not just a Spoonie you’re a Super Spoonie so Never Give Up and Never Stop Growing! Sunflowers bloom as big, bright rays of sunshine during the summer months in dry, wide-open environments. Sunflowers are the one plant species that face the sun and track its movement to optimize the use of light, yes that’s right, they have awesome sun-tracking characteristics. You can also follow the sun, in what way? Well, we all need vitamin D right, but we can follow the sun in another sense by staying positive. This is probably one of the hardest, if not the hardest lessons to take on board. It’s so hard to see good whilst battling with chronic physical and/or mental health. You’ll have days, and sometimes straight months when staying positive is the last thing on your mind, not because you’re a cynic but because your illness causes these thoughts and feelings of despair. If you’re struggling to follow the sun and stay positive, try staying in and amidst nature even if it’s for 10 minutes. You’re still going to feel pain and the symptoms of your illness unfortunately, but being in and around nature will boost your mood as we were actually created with the innate need to be around nature. So follow the sun and turn your back to darkness. No, Sunflowers do not laugh. Well maybe in cartoons they do but not in real life! Let’s think about the colour of a Sunflower. YELLOW! Yellow is the color of sunshine and it’s associated with joy, happiness, intellect, and energy. Yellow produces a warming effect, arouses cheerfulness, stimulates mental activity, generates muscle energy and is also associated with food. Although the sunflower looks like one main flower, the center of the sunflower where the florets bloom is actually filled with hundreds of tiny flowers, all growing individually. Each of these florets can become another sunflower if planted. 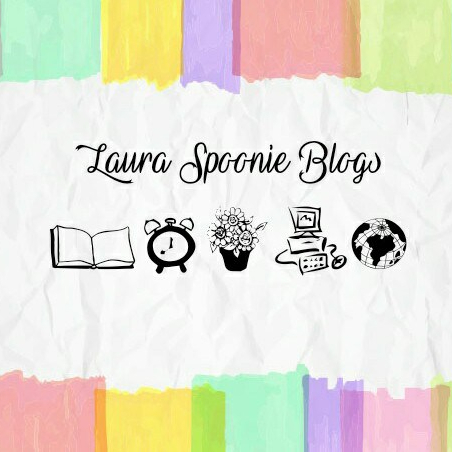 So, how can you be a Spoonie and show openness? Well, right now i’d like to put it out there that i’m naturally a loner, always have been, always will be. An only child who just likes my OWN space so openness for me is a big challenge. Whilst you have a chronic illness being alone, (not to be confused with ‘lonely’), can become very dangerous because the reality is although there are other people going through the same illness as you Fibromyalgia engulfs you and makes you feel even more alone. The lesson to learn from the Sunflower with openness is, keep a line of survival open whether it’s family, friends, a Support Group for your specific illness, Twitter Family etc. If you have a Faith, your congregation. It’s oh so hard, but oh so necessary. You see how the Sunflower is made up of hundreds of mini flowers, that’s exactly you my dear. You’re not alone, there’s a whole team of us that make up one big beautiful flower. Sunflowers thrive in hot weather with full, all-day sunlight, but they require 34 inches of water annually for best growth. Some of that water comes from rain and natural water in the soil, but most is dependent on regular watering. You know how they say, ‘No Rain. No Flowers’? Yeah it’s true there needs to be a balance of both sun and rain in order for flowers to grow including the Sunflower that relies a lot on the Sun rays to flourish. We are in fact the same. We need water. Water is life. It’s summer. Stay hydrated. Thanks. The annual Sunflower will bloom from midsummer into autumn – the dead flower heads containing the seeds that remain can then be used in winter as a bird feed, as many bird species love sunflower seeds. Sunflower seeds only germinate in warm soil. Sunflowers can’t tolerate any frost so it’s best to plant only after all frost danger has passed and air temperatures are steadily rising. When it’s winter time the sunflower doesn’t grow but can still be useful to the birds. Whilst recovering over the winter it can get ready to bloom again come the next summer. You also need to take time to recover regardless of what other people are saying, family, friends, strangers, health care ‘professionals’. The thing is they might even have the same diagnosis as you but it doesn’t mean that you both suffer in the same way. In fact, what if someone was actually misdiagnosed and they’re telling you all the things they’re getting on with and doing? The reality is none of us are the same two people, the time it takes for ‘Spoonie A’ to recover might be completely different from the time it takes ‘Spoonie B’ to recover. You need to listen to your body, not unsolicited advice. If it means it takes you longer to recover then so be it because you’re the one that’s going to feel the pain not anyone else. So take the time to recover and then blossom when it’s your time. Now go take July and the rest of 2018 by the bull horns and prove your doubts, fears and chronic illness wrong *fist pump*. Comment what your favourite flower is & why? Who remembers that time on Fresh Prince Of Bel Air when Will Smith flunked his classes so they put him back to like Grade 1 and he had to dress up as a sunflower and sing, ‘You are my Sunshine” LOOOL. It’s one of my favourite episodes, for obvious reasons + it’s a good lesson because although he got put down quite a few grades by his teacher he ended up smashing the performance and really encouraged the younger students to have confidence and give the performance their all. So moral of the story… Don’t flunk school kids! Wow. I’m absolutely speechless. This put such a big smile in my face and gave me positivity that I was lacking. This is beautifully written. I love a lot of flowers, my mom got me obsessed with gardening so it feels like every year I find a new love, but if I have to choose one I’d say the hibiscus. We have a hibiscus tree (had no clue it was one or that they grew this far up north in NY, I always thought of them as solely tropical flowers). The tree used to have 5 trunks but now has only one, when the second to last trunk died, I took a chance and broke off a branch to plant it and somehow it took root. That was about three years ago and it’s still growing, unfortunately some parts of it have died but every year it puts out new sprouts. One’s currently growing right now, adding on an extra inch or two which is a relief. This is such an inspirational post, I will have to save it to go back to it because there are beautiful messages. I love which words you picked out for each letter of Sunflower and painted this strong flower as a beacon of so many positive things! Beautifully done! Thank you so much for stopping by and reading! I’m glad you like it, as I wrote it to encourage other people and hearing your feedback makes me happy. Full circle. Wow by letter N I was ready to share this with the world! I love your writing! This is so inspirational and I hope we can connect more. I’m so glad we have writing as an outlet even when we are deep in flare ups. I haven’t been feeling or doing too great these past few weeks but the fact that my post cheered you up has in-turn cheered me up and also made me me remember it was there. Have to remind myself most times that we will reposition and spring back up just like the flowers that are hybernating at the moment. We’re definetly all in the field of sunflowers, Jo.